Vehicle Factory Jabalpur Released Admit card for written exam Admit Card Post for Radiographer, Lower Division Clerk , Fireman, Durwan, Ward Assistant Exam Admit Card Download. 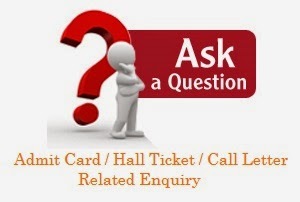 Candidates download admit card click below link…. call at 0761 - 2792098 (From 08.30 AM to 05.00 PM).